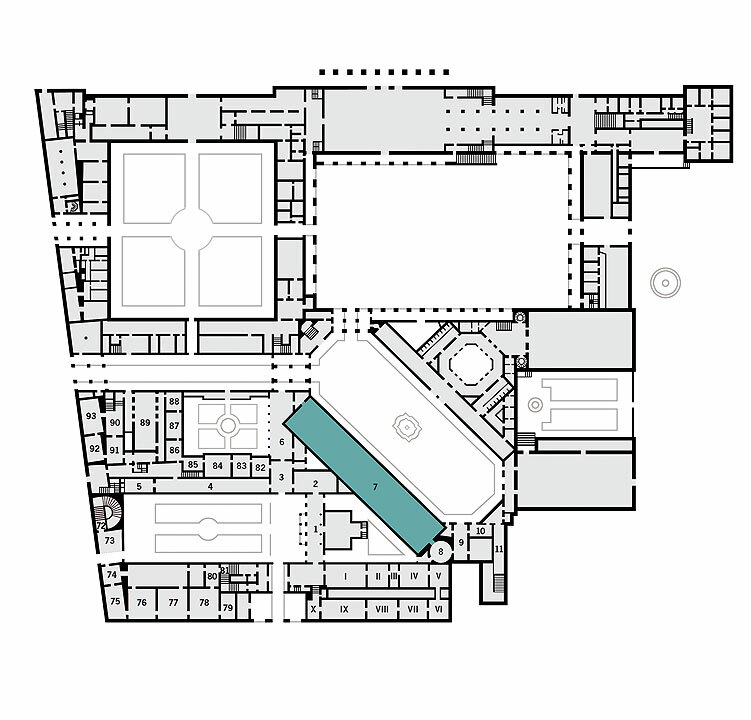 This hall is the oldest room in the Munich Residence. 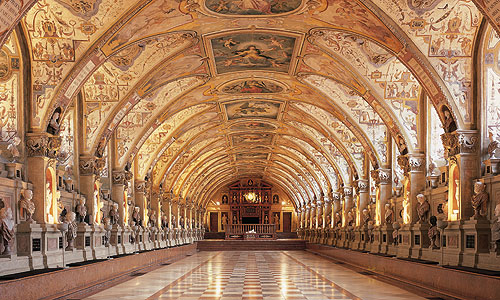 With a length of 66 metres, it is the largest and most lavish Renaissance hall north of the Alps. 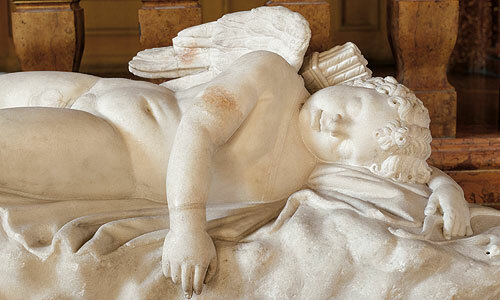 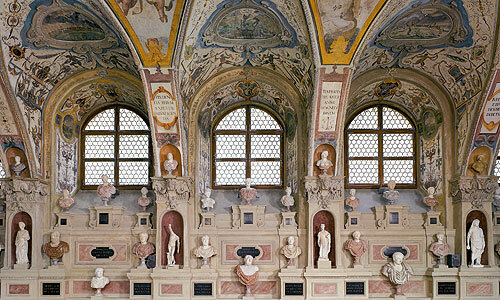 Duke Albrecht V had it built from 1568 to 1571 for his collection of antique sculptures, hence the name "Antiquarium". 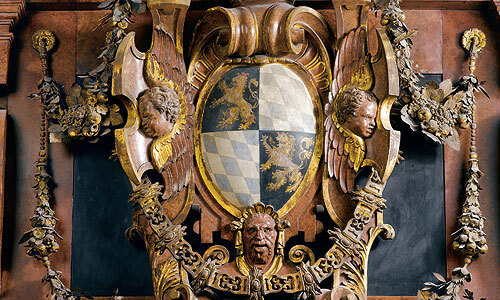 From 1581 to 1600 Albrecht V's successors, Duke Wilhelm V and his son Maximilian I, transformed the Antiquarium into a hall for festivities and banquets. 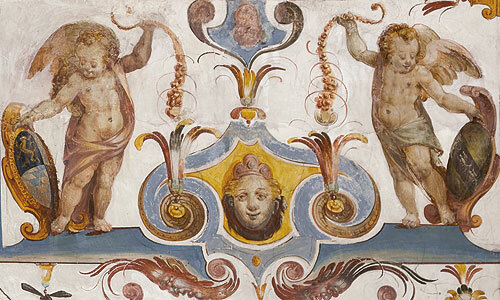 The abundant decoration with grotesques, a type of ornament inspired by classical antiquity, dates from this time. 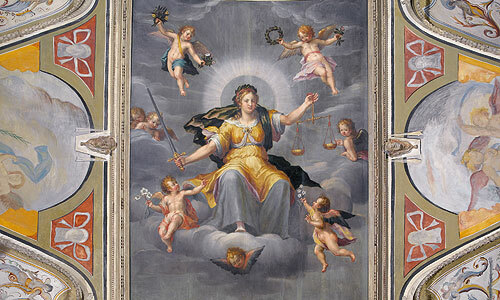 The 16 paintings from the workshop of Peter Candid in the crown of the vault show allegories of fame and the virtues. 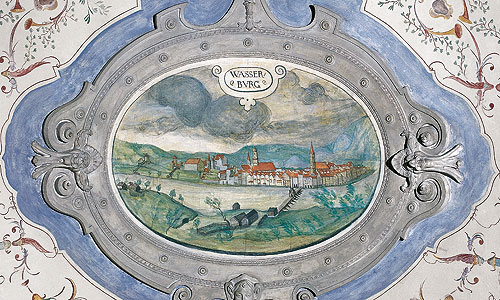 The lunettes and the window reveals are decorated with 102 views of towns, markets and palaces in what was then the Duchy of Bavaria. 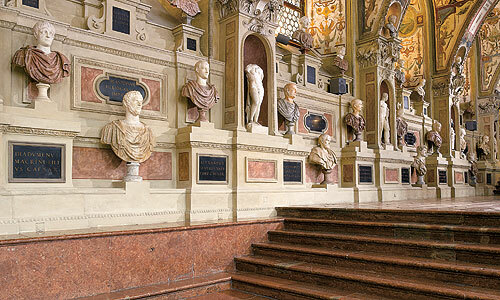 Some of the busts and other sculptures now displayed on the longitudinal walls are from Duke Albrecht V’s collection, which was however expanded in the 17th and 18th centuries.